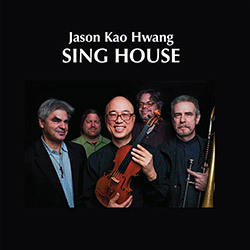 Focusing on melody, rhythm, harmony, and texture, violinist/composer Jason Kao Hwang's Sing House employs a perceptive and swinging blend of Western and Eastern influences as his impressive band with Andrew Drury on drums, Ken Filiano on bass, Chris Forbes on piano, and Steve Swell on trombone present four lyrical, propulsive and wonderfully embraceable "songs". 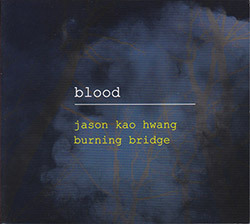 Composer & violinist Jason Kao Hwang wrote "Blood" as he meditated upon the traumas of war retained within the body as unspoken vibrations that reverberate across community and generations, performed in an incredible east/west octet with Taylor Ho Bynum (cornet), Joseph Daley (tuba), Andrew Drury (drums), Ken Filiano (bass), Sun Li (pipa), Steve Swell (trombone), & Wang Guowei (erh). 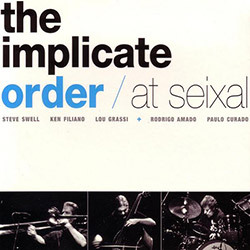 The very first album from Portugal's impressive Clean Feed Records is this live album at Auditorio do Forum Cultural do Seixal from the trio of Steve Swell on trombone, Ken Filiano on bass and Lou Grassi on drums, joined by Paulo Curado on alto sax and Rodrigo Amado on baritone sax, a significant concert merging free players from two nations with profound influence on jazz music. 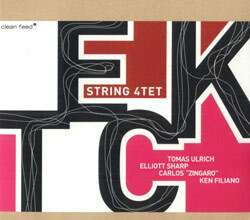 Pianist and vibraphonist Karl Berger is also a professor of composition, having won numerous awards and commissions for his work, here presenting the final part of a trilogy written for Tzadik, a beautiful 14-part suite for piano and string realized with Berger himself at the keys in a septet of well known NY performers including Ken Filiano, Tomas Ulrich, Jason Kao Hwang. 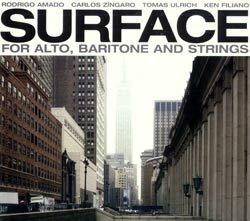 Cornetist Taylor Ho Bynum draws on a variety of techniques from improvised conduction to big band orchestration to deconstructed fanfares, with a large 15 member ensemble of impressive improvisers embodying a diversity of generations, backgrounds, ethnicities, and gender, presenting three large scale compositions that are ambitious and wonderfully accomplished. 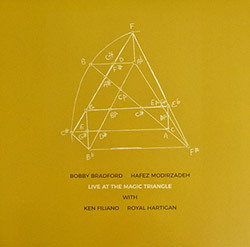 A live concert at Amherst, Massachusetts in 2016 as part of the Magical Triangle Jazz Series from the quartet of legendary cornetist Bobby Bradford, Turkish saxophonist Hafez Modirzadeh on tenor, in-demand New York bassist Ken Filiano, and percussionist/drummer Royal Hartigan, the band performing two Bradford compositions, with one each from Filiano, Modirzadeh and Hartigan. 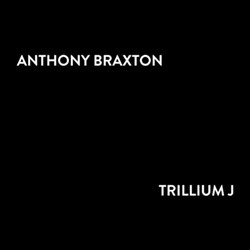 A multimedia box set of Anthony Braxton's opera work "Trillium J", containing live performance video on Blu-ray disc of a 2014 performance at Roulette in NY, and studio recording on 4-CD set, with 12 vocalists, 12 instrumental soloists and a full orchestra. 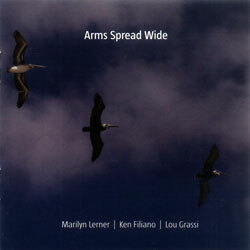 Each member of this free improvising trio--trumpeter Thomas Heberer, pianist and prepared pianist Achim Kaufmann, and double bassist/prepared bassist Ken Filiano--contributes challenging compositions to this sophisticated album recorded at Firehouse 12. 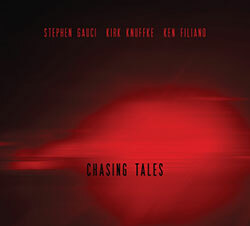 The NY trio of saxophonist Stephen Gauci, cornetist Kirk Knuffke and bassist Ken Filiano in a set of group improvisations plus compositions from each player, great melodic and interactive playing from three exceptional players. 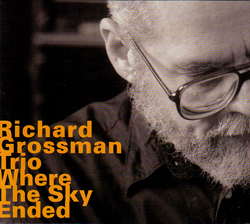 Pianist Richard Grossman in a trio with double bassist Ken Filiano and percussionist Alex Cline, playing freely improvised jazz in a live setting. 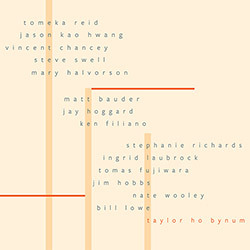 The 2nd of 3 releases documenting composer/cornetist Taylor Ho Bynums' Navigation project, in 2 LPs of studio recordings with his Sextet: Jim Hobbs on saxophone, Bill Lowe on trombone & tuba, Mary Halvorson on guitar, Ken Filiano on bass, and Tomas Fujiwara on drums & vibraphone. 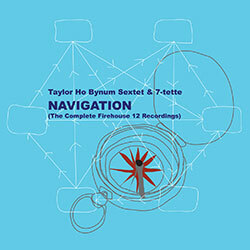 The 1st of 3 releases documenting composer/cornetist Taylor Ho Bynums' Navigation project, in 2 CDS of studio recordings with his Sextet: Jim Hobbs on saxophone, Bill Lowe on trombone & tuba, Mary Halvorson on guitar, Ken Filiano on bass, and Tomas Fujiwara on drums & vibraphone. 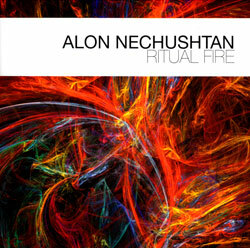 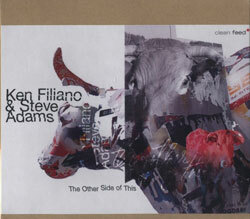 Pianist Nechusthan leads his powerful trio of bassist Ken Filiano & drummer Bob Meyers, plus clarinet legend Harold Rubin, in a Jackson Pollack-influenced action suite, 10 pieces of free improvisation following a larger structured process. 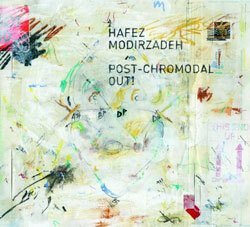 The next step in Iranian-American saxophonist Hafez Modirzadeh's quest to create a seamless cross-cultural exchange of musical structures between the Persian dastgah and American jazz. 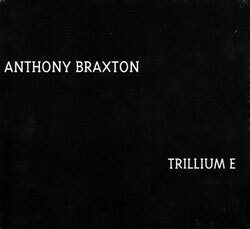 Trillium E is the first-ever studio recording of an Anthony Braxton opera, a deluxe 4-disc set of this surreal and witty installment in Braxton's ongoing Trillium cycle, and includes a booklet with libretto, photos, and critical essays. 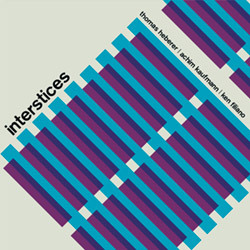 The first recording of Ho Bynum's new sextet, with guitarist Mary Halvorson and drummer Tomas Fujiwara, augmented by bassist Ken Filiano, saxophonist Jim Hobbs, and tubist/bass trombonist Bill Lowe, in a 4-part suite. 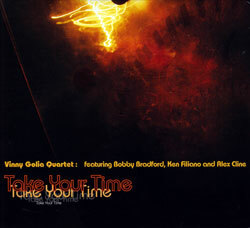 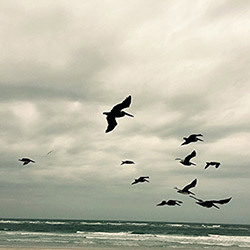 The third recording from this group of long-time collaborators, with Golia on soprano, alto and tenor sax, Bobby Bradford on cornet, Ken Filiano on bass and Alex Cline on drums in a set of Golia original compositions. 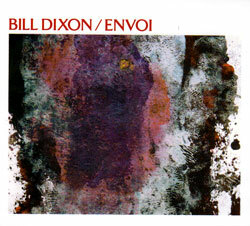 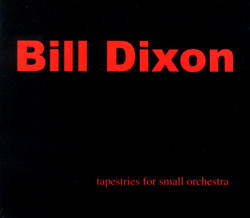 The late trumpeter Bill Dixon's final performance at the 2011 Victo Festival, performing with and directing an incredible group including Taylor Ho Bynum, Rob Mazurek, Stephen Haynes, Graham Haynes, &c. &c.
Double CD and DVD release of Bill Dixon's amazing small orchestra with Taylor Ho Bynum, Rob Mazurek, Michel Cote, Warren Smith, Ken Filiano, Stephen Haynes, &c.
New York pianist Marilyn Lerner in a trio with Ken Filiano and Lou Grassi, instant compositions with great structure, virtuosity and melodic content. 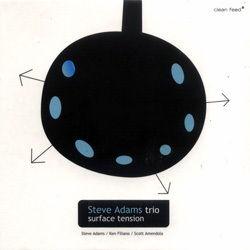 Multi-reed and wind player Steve Adams, a member of Rova Saxophone Quartet, in 2000 recordings from San Francisco with his trio of Ken Filiano and Scott Amendola. 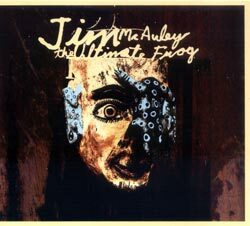 Guitarist and string player Jim McAuley's "The Ultimate Frog" is a double album made up of duets with artists Leroy Jenkins, Nels Cline, Ken Filiano, and Alex Cline. 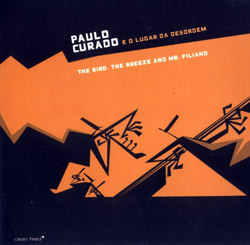 Alto saxophonist and flutist Paulo Curado with New York bassist Ken Filiano and Bruno Pedroso on drums, a nuanced work from a lyrical and free power jazz trio. 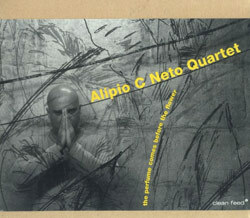 Lisbon saxophonist and composer Alípio Neto in exciting free and hard bop sessions with New Yorkers Herb Robertson, Michael Thompson, and Ken Filiano.